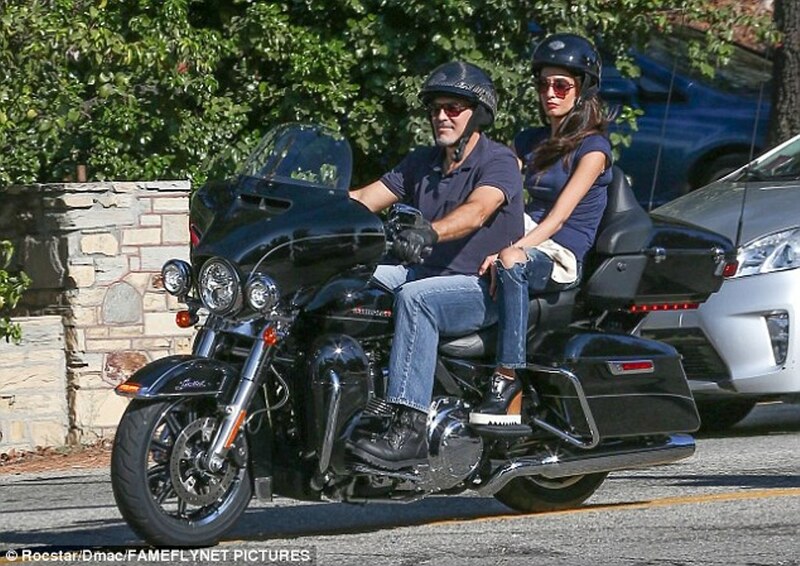 Amal and George Clooney went for a biker ride in Los Angeles on Friday. They look both happy and stylish in navy and jeans. I think it is ridiculous and unsafe to ride a motorbike with wedges. Can she wear sneakers like everybody else? Agreed. 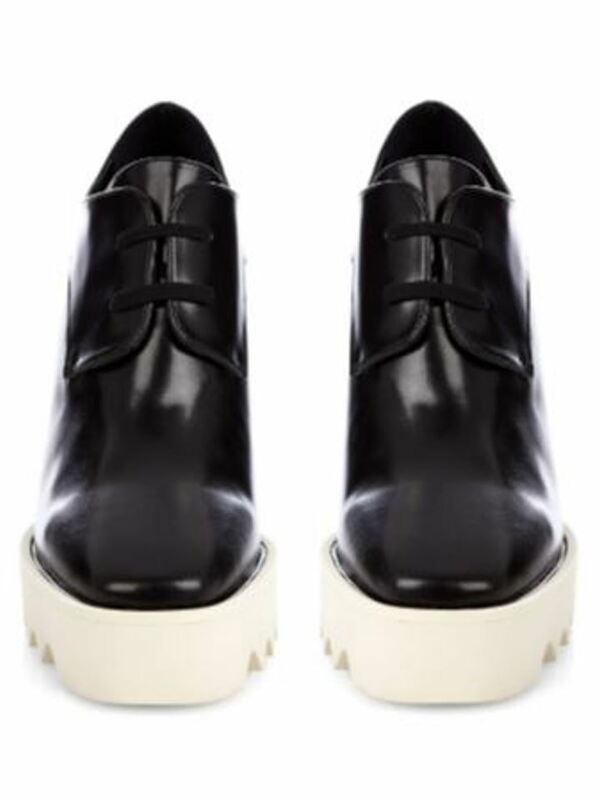 She looks a bit silly trying to look stylish with “biker wedges”. And, pulling her hair to the side. Throw it in a low pony in the bike. Just quit for once. I suspect its the equivalent of a pap walk – they probably aren’t going far. Not that this is an excuse for wearing heels on a bike – or exposed knees. Sadly George had a small motorbike accident with a previous girlfriend. I think he broke his toe and she injured her arm. Nothing major…. but still you think he would have been more careful – esp if the rumours are true and baby is on board as well. Why is it unsafe? She is a passenger. I agree, the gaping hole at the knee does not help to protect either. They are back in Cali so George is beginning filming should be beginning soon on his next film. What is his next film? Those objects on her feet are beyond hideous. She definitely has an affinity for wedge sneakers. I never would have thought to wear those shoes as a passenger on a motorcycle. Interesting. I agree with you barbara. Amal likes to ‘overdress’.. Wearing wedges while sitting on a motorbike is a bit ridiculous. 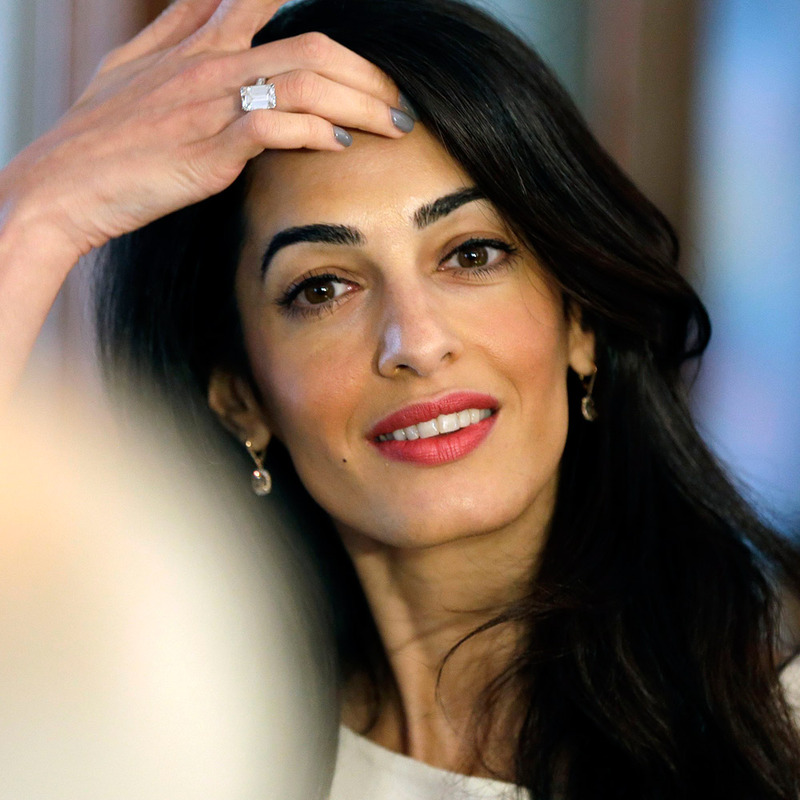 It looks like Amal does not feel comfortable in normal clothes and in shoes without heels. I love the shoes. She is a passenger so why does it matter what shoes she wears. Why wear a helmet that won’t protect your head in the event of an accident? 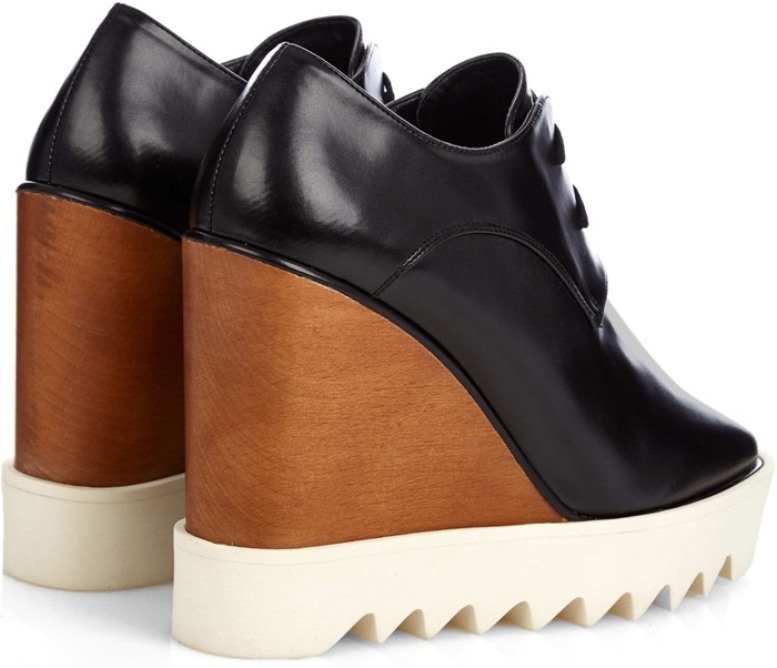 Barbara, I echo your remarks about the wedges. Hopefully, this was just a spin around the block to let all know that “we’re back”. 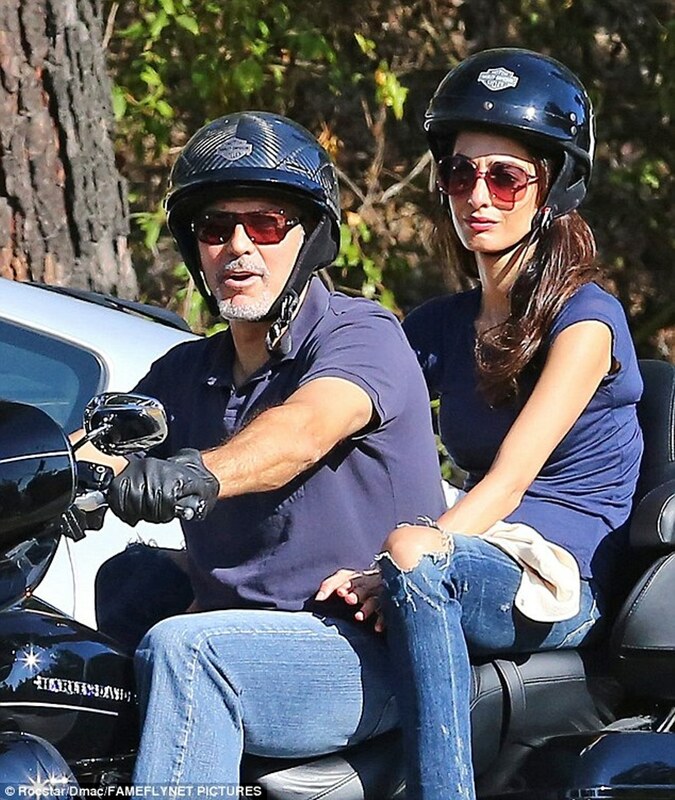 SideEyeSally: If you go online to Mandatory Helmet Law State of California and read the requirements (California Vehicle Code, Division 12, Chapter 5, Article 7, Section 27803) it appears that what Amal is wearing meets the requirements. The DMV provides additional information about the three types of helmets that are permitted. I am assuming that the helmet meets CA requirements. I have no idea if wedges are considered sturdy shoes. ha! In another hand…. i want a ride in a bikie like tha! 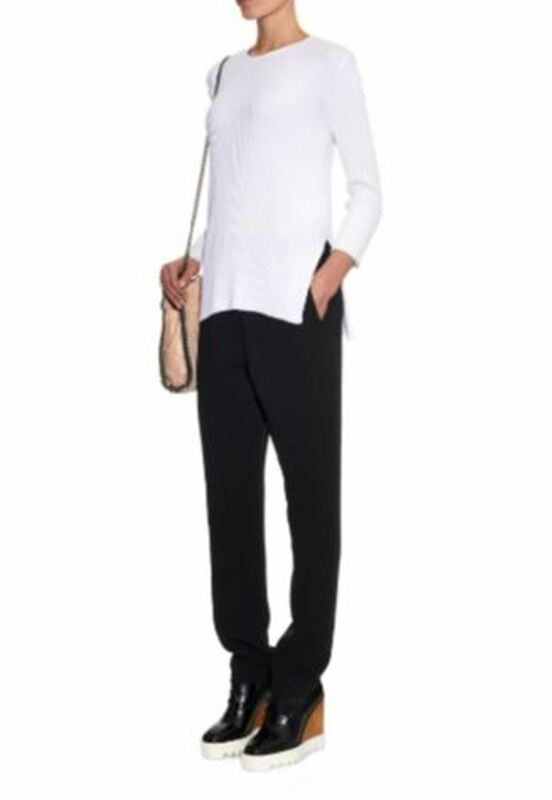 looks so confy! This picture was taken by Chris Jackson. A royal photographer. The press conference was live broadcasted. I don’t have a video of the event. She looks great and is very pretty in this very simple attire. As for the lack of safety or not, it’s her business…biking is dangerous with or without the full safe biker gear. I suspect we may see more of these (it is not the first with Amal on a bike) as she is his wife, not a current girlfriend.